It’s true: Monkfish is one of the f’ugliest fish in the world. But you wouldn’t know it when it’s served to you. Or, when you buy some fresh fillets and pan-roast them just like any other fish, finishing them with a splash of white wine and butter mixed into the pan to drizzle on top. Yes, even when you’re actually cooking a raw thing to plated dish (in mere minutes no less), you can be spared the gruesome truth of its original appearance. That’s a good thing, because monkfish is the scariest looking fish I’ve ever seen in my life. This kind of thing really makes you appreciate the work that went into an animal protein when you’re buying it. When I think, well, it may seem a bit of a splurge to me, and then realize at least I didn’t have to first catch and drag these creatures ashore then cut off their mangly heads and scrape their weird, slimy grey skin off, I’m really stoked. The same could go for not having to tend to the pigsty or rake the sheep manure and on and on and on. I recently got a puppy, and in between housetraining him and occasionally taking him to the dog daycare places in the city and meeting the people who work there under the endless howling and peeing conditions, I truly appreciate this animal husbandry business more. If only to a fraction of what we could. 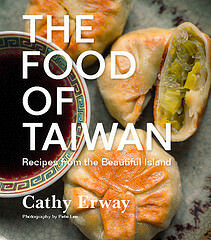 I did a cooking demo at the Grand Army Plaza Greenmarket last Saturday, and it was a lot of fun. I used squid from the Long Island fishmonger Blue Moon Fish, and made a dish from The Food of Taiwan called “Three Cup Squid” to small crowds after another of market shoppers. (In the meantime, Doug, my doggie, howled a bit and probably drew more onlookers to our Greenmarket tent.) I’d intended to post the recipe for that dish here, because it was met with such enthusiasm from all who came by, but by the time I’d wrapped up and could shop on my own, Blue Moon Fish had run out of squid (I wonder, coincidence?). So instead, I talked to fishmonger Mara about what to buy from what was left over in the ice bins. I was hesitant on the monkfish, until she assuaged me: “Don’t a lot of chefs make a big fuss over them nowadays?” or something like that, she said. Monkfish livers have long been a delicacy in the fancy-restaurant-food world, but the meat of these fish have also picked up steam recently — much in response to the fact that they’re traditionally disregarded as “trash fish.” This lesser-than look at monkfish is ages-old (stemming from the fact that monkfish, like lobster, are “bottom feeders”). But maybe monkfish still have a long way to catch up to the level of acceptance of lobster: Most of the recipes I seem to find for monkfish these days treat them as a “poor man’s lobster” substitute. So I felt inclined to treat them not like something else, but like a fish instead. So I made a simple pan-roast, finished with white wine and butter. 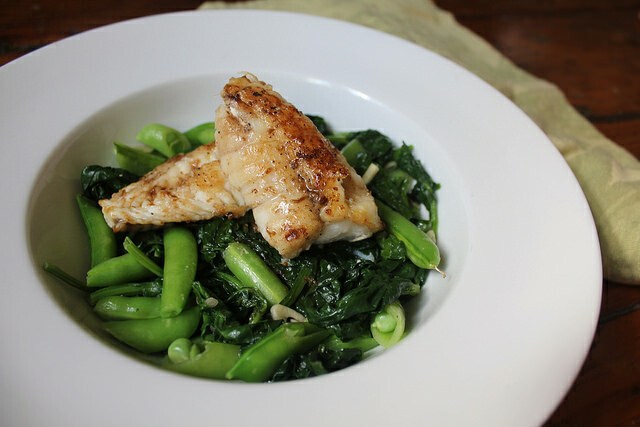 I also grabbed some non-assertive tasting vegetables from the springtime farmers market to serve with it, like with any other white-fleshed fish. There was nothing weird to do at all. People talk a lot about the meaty texture of monkfish, which is somewhat akin to lobster, but I think it can be tender enough when cooked briskly in preparations such as pan-roasting — added bonus, it doesn’t flake apart. This fetching entree might cost you upwards of $20 in a restaurant, but with fresh ingredients purchased straight from the farmers market, it was under half as much. You could also substitute “rich man’s” fish for the monkfish all the same — oh, I don’t know, black cod, flounder, grey sole? You name it and it’ll work. Whatever’s fresh and available to you, a perfect spring meal with lots of food thoughts to chew on (rather than tough meat) can be had. Preheat oven to 375 degrees. 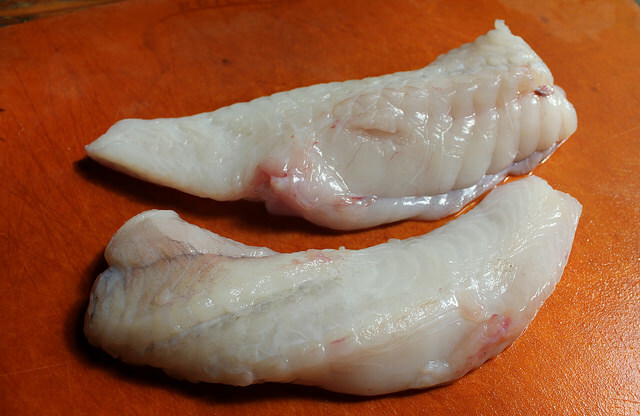 Rinse and pat monkfish fillets dry with paper towels. Season on both sides with salt and pepper. Heat a large, oven-safe pan with 1 tablespoon of olive oil over high heat and add the garlic. Once fragrant, after a few seconds, add the spinach and a pinch of salt and pepper. Stir and let cook down until wilted, about 2 minutes. 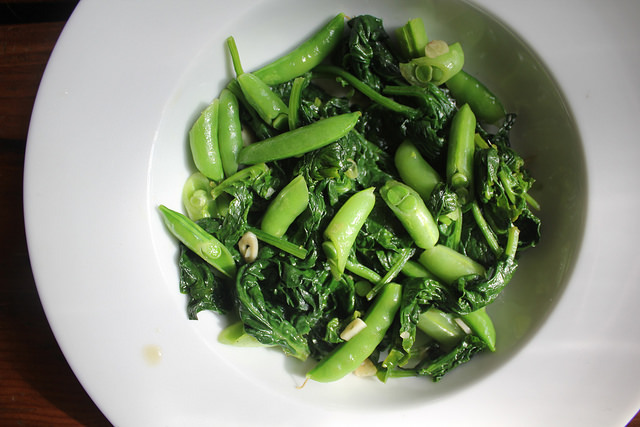 Add the sugarsnap peas and stir occasionally for another minute. Remove the vegetables from the pan and divide amongst two serving plates. Wipe the pan and add the remaining tablespoon of olive oil and 1 tablespoon of the butter. Over high heat, place the monkfish fillets on the pan 1 inch apart. Let cook about 2 minutes without touching to brown one side. Once golden-brown (after peeking), flip the fillets and transfer the pan to the oven. Roast for about 3-5 minutes (depending on how thick the fillets are) or until no part of either fillet appears translucent. Transfer the pan to the stove and place each fillet on each plate with the vegetables. In the same pan, add the white wine, stirring to break up any browned bits on the bottom. Bring to a boil for about 30 seconds, stirring, and remove from heat. Stir in the butter and once melted, strain the mixture (or just skip the straining part) and drizzle the sauce over each plate. Serve immediately. Four brownie points: This entree is full of the good stuff, with a big pile of sautéed spinach instead of the heavy carbs like potatoes that you’d normally see as the base of fish dishes. 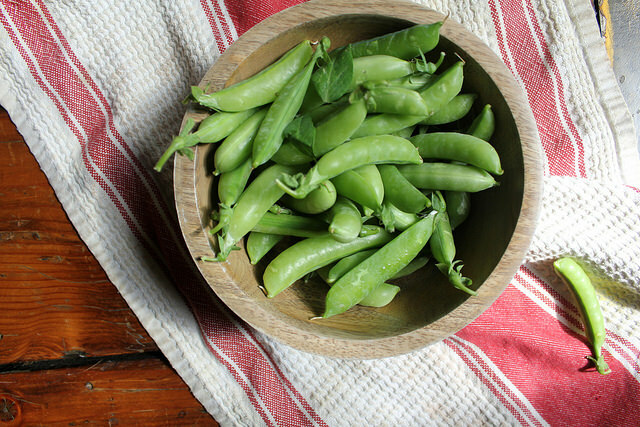 Instead, you’ve got superfood nutrition from all those leafy greens, as well as some protein and fiber (and sweetness) from the snap peas. The fish will give you omega-3 fatty acids to help combat your cholesterol, and more protein. Serve with a crusty piece of bread if you’re feeling peckish to soak up the sauce. 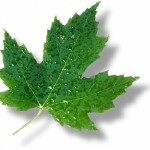 Six maple leaves: Healthy spring veggies and some local, fresh fish is a seasonal as well as a sensible meal. Monkfish are seen as a “good alternative” according to Seafood Watch, because there might be issues with bycatch of other species. Talk to your fishmonger to see how they catch if you’re curious about checking it out more. And in general, it’s great to buy whatever your local fishmonger has available from their daily catch, rather than waiting for your favorite cut so you’ll hopefully spare them from waste. It’s important that when it comes to safety on the internet. It’s important that you use safe and authentic web browser Internet explorer of Windows, and then Microsoft built a innovative ideas for your users that is managed saved passwords in Microsoft edge.